Well this is a first – a box of refrigerated goods landed on my doorstep! a fermented milk drink made with kefir “grains” (a yeast/bacterial fermentation starter) and has its origins in the north Caucasus Mountains. It is prepared by inoculating cow, goat, or sheep milk with kefir grains. Traditional kefir was made in skin bags that were hung near a doorway; the bag would be knocked by anyone passing through the doorway to help keep the milk and kefir grains well mixed. Fermented foods are definitely “it” foods right now, because of their ability to promote healthy gut flora. And with so many studies coming out about how the microbes in our gut can impact our health, fermented foods are a great addition to our diets. And while everyone has been all over yogurt for years, kefir is a relatively new player in the North American market. I always made a point of offering some for taste testing when I was teaching groups of families about nutrition and healthy eating choices – makes it less scary to pick up and buy when you are out grocery shopping when you already know what it is and how it tastes. 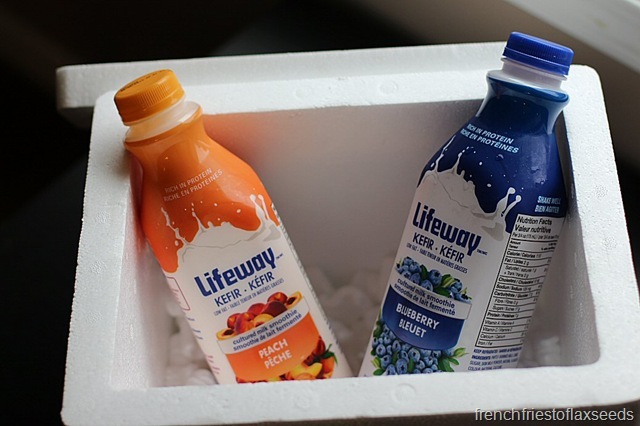 Lifeway Kefir comes in 4 different flavours – Plain, Strawberry, Blueberry, and Peach. It also contains 12 different bacterial cultures, and each 3/4 cup serving has 7g protein, and 25% of your daily value of Calcium. I received both the blueberry and peach flavours to try. While I am normally a plain fan (because I like the versatility so I can add my own flavours), I was ready to try these out. I totally get that not everyone is into plain, and want a product that is ready to drink as is. The blueberry was my favourite of the 2 flavours I tried. 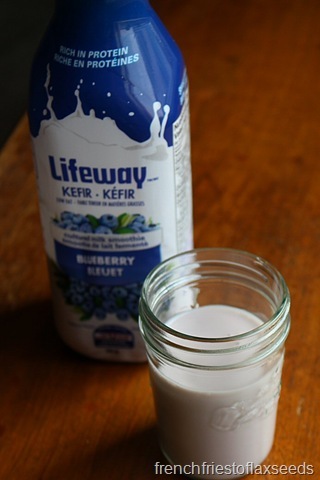 Even though it is sweetened, it wasn’t overly sweet, retaining that tart flavour that kefir should have. I liked that the colours wasn’t excessively purple either. I was less of a fan of the peach flavour. I’m not sure what is was about this flavour, but it just didn’t do it for me. It wasn’t offensive or anything – I just didn’t think it was peachy enough? And it had a more sour flavour than the other as well, which I don’t mind, but thought it didn’t play well with the peach. But again, I liked that it wasn’t overly orange in colour – no need for hyper coloured kefir! 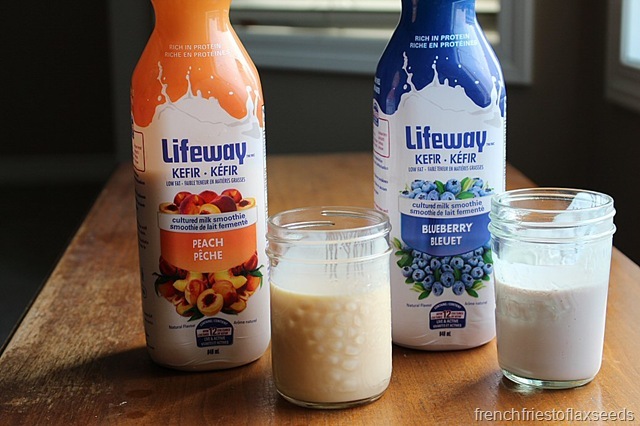 Overall, the Lifeway Kefir products are a tasty drink option, especially if you are new to kefir, but like things such as smoothies. I would personally forgo the flavoured ones and just buy plain, as it is more versatile and has less sugar, but a sweetened and flavoured kefir is still going to offer you more nutrition than say, a can of pop. Plus they make fermented foods (and all of those good probiotics) more accessible. This contest is open to Canadian residents only. The contest will close at 23:59 on Sunday, July 19th, and I will randomly select and post the winner on July 20th. Prizes will be shipped to the winner directly from Lifeway Foods. Good luck! Disclaimer – all samples were provided to me free of charge from Lifeway Foods. All opinions are my own. ooo- i’d love to try kefir! have def seen it in some of the small organic type stores, but not picked up to try! didnt want a whole bottle of something i wouldn’t use! i’d love to try all the flavors, but really like you, think the plain would be most versatile. thanks for the review – i’ll give it a whirl! I have heard about kefir before where others are making their own! This is a great post and never heard of this product until reading your post. I love a chance to try this as I am trying to live a healthier lifestyle … thank you for the chance! 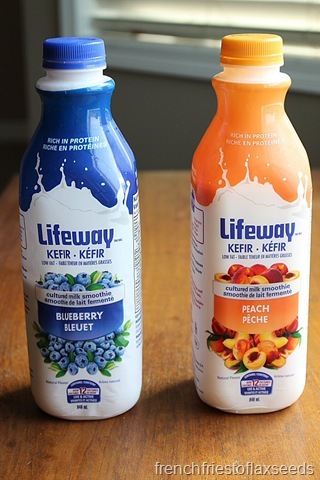 I’d really love to try the Peach Lifeway Kefir. Oh! I would love to try the blueberry one. 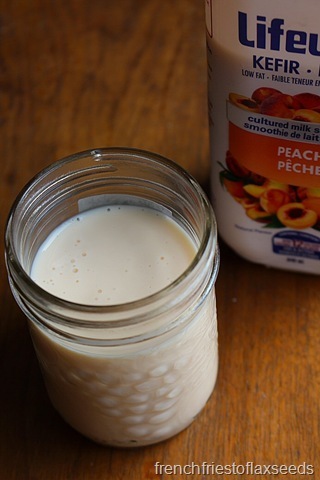 I really like putting kefir in my morning smoothies.